Tana French is also the author of In the Woods, The Likeness, Faithful Place, Broken Harbor and The Secret Place. Her books have won awards including the Edgar, Anthony, Macavity, and Barry awards, the Los Angeles Times Award for Best Mystery/Thriller, and the Irish Book Award for Crime Fiction. She lives in Dublin with her family. 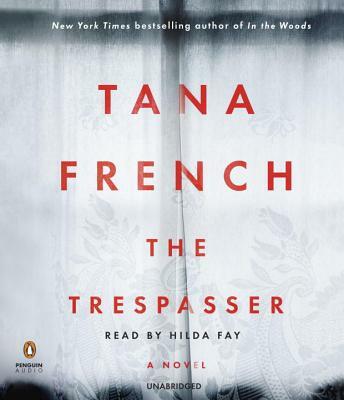 "Tana French is the most interesting, most important crime novelist to emerge in the past 10 years." "[Tana French] inspires cultic devotion in readers…most crime fiction is diverting; French's is consuming." "A fierce examination of the chasm between how women choose to present themselves before the world and the more complicated truth underneath--and not to mention a total page-turner." “As in all of the author's work, meaning lurks beneath every quip and glance. French not only spins a twisty cop tale, she also encases it in meticulous prose, creating a read that is as elegant as it is dark."